Mariah Carey is one of the most talented singers of all time. Her voice is magical and she has given us lots of hit songs over the years. She is beautiful and likes to style in different ways. She gives a lot of effort to make her look good just like any other celebrity. Her hair is something many fashion lovers talk about. She has beautiful curls on her long hair. The hair is voluminous and attractive. In the early days of her career, she was mostly seen in these curls. But as the years went by she changed her hairstyle to wavy locks. She chose a lighter color than before and added some bangs. She kept on experimenting with both curly and golden wavy hair for some time. In 2005 we explored her in a straight long hairstyle. She looked very refreshing at the BET Honors Gala in 2012 with her half updo. In 2016 we rediscovered her in the straight long hairstyle parting in the middle. But again she loves her curls. So, she went back to her signature style. Mariah Carey hasn’t done any bold color on her hair. She has always loved the golden, auburn and brown hues. We love her subtle waves. Sometimes adding bangs accentuates her features. Here’s Mariah Carey’s hairstyles over the years. Mariah Carey attended the 2015 Billboard Music Awards with her layers swayed to one direction. Her hairstyle is also incorporated with side-swept bangs for a trendier finish. Mariah Carey showcased her freshest and most carefree version with her waves tousled to perfection. This photo was taken last January 22, 2018 at Milan, Italy. Last February 4, 2017, the singer attended the world premiere of "The Lego Batman Movie" with her long waves clipped at the front section for extra style and comfort. The singer had her long beach waves swept to one side during her Hand and Footprint Ceremony at the TCL Chinese Theater IMAX last November 1, 2017. The singer showed her youthful side with her thick and playful curls. She attended the Nickelodeon 2017 Kids' Choice Awards with this carefree hairstyle that exhibited a positive aura. The singer kept it simple with her center-parted, wavy hairstyle. This look was worn last December 2, 2016 for the VH1 Divas Holiday Concert. 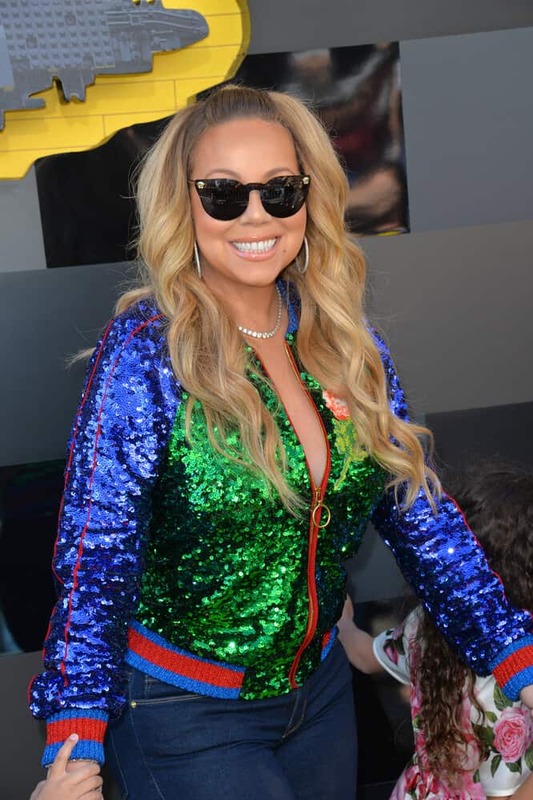 Mariah Carey in an elegant dress, with a pair of sunglasses and an effortless, loose hairstyle might not be the best thing to hear but believe it or not, she nailed this look. This was taken last August 5, 2015 at the Hollywood Boulevard where she was honored with a star on the Hollywood Walk of Fame. One of the singer's most iconic look is this center-parted hairstyle where her curls are freely flaunted down her shoulder blades. This is also the look she wore for the Hallmark 2015 TCA Summer Press Tour Party. The singer had her hair styled with layers swept to only one side, leaving a decent and unique finish. This look was worn for the 2015 Billboard Music Awards. Last December 4 2016, the singer was seen in New York City with her curls, perfectly tossed for extra volume. The singer's golden layers are indeed stunning enough to be styled into some extravagant hairdos. This effortless look was worn for the Fresh Air Fund Spring Gala Salute last May 29, 2014. Mariah Carey looking beautiful with her sleek and straight hair incorporated with a black headband. The photo was taken last August 5, 2013 for the New York premiere of "The Butler". Mariah Carey had a passion for singing from a very young age. In fact, she started taking singing lessons at the age of four only. Her debut album ‘Mariah Carey’ was released by the Columbia Records in 1990. Four singles from this album topped the Billboard 100 chart. Her next albums ‘Music Box’, ‘Merry Christmas’, and ‘DayDream’ were very successful as well. The song ‘One Sweet Day’ turned out to be the longest-running number one single in the music history of US. She went on to release hip-hop music in 1997. There are lots of awards to her credit. She won five Grammy Awards and numerous World Music Awards, American Music Awards, and Billboard Music Awards. She has her name on the Guinness World Records for having five-octave vocal range. She is known as one of the best selling music artists of all time. She has millions of fan followings throughout the world. Her concerts are most of the time full and people love seeing her perform alive. Her styles become the talk of the town after each concert. She is a very fashion-conscious artist and often sets her own trend. Like her singing ability, her fashion sense also inspires many people. We have got some great music from her. She can really touch your heart with her songs. This iconic singer will live in our hearts forever.